Location East Bolton Moor. 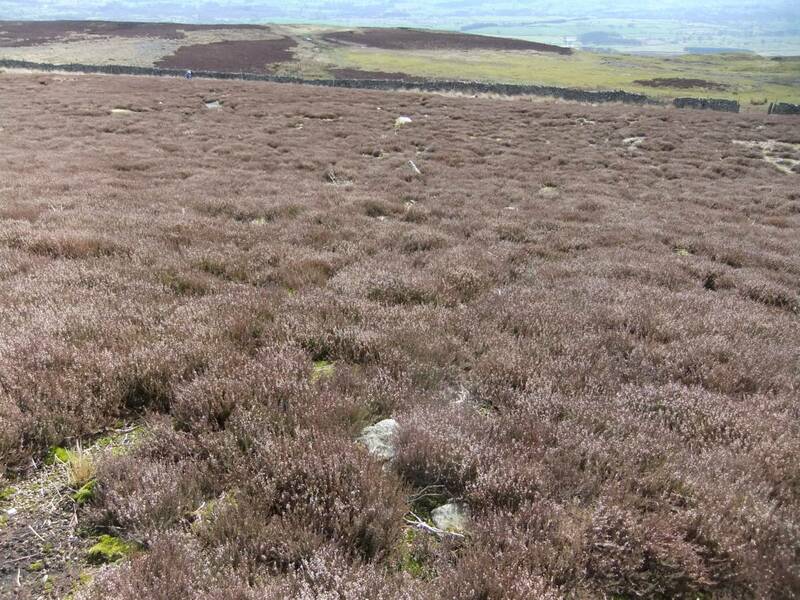 Moor Edge above Walker Wife Well (Spring). Geology Glacial drift over chert strata above the Main Limestone. 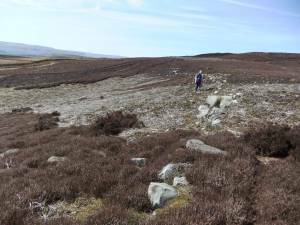 Record Name Moor Edge above Walker Wife Well. Fragmentary field system and possible unenclosed round house. 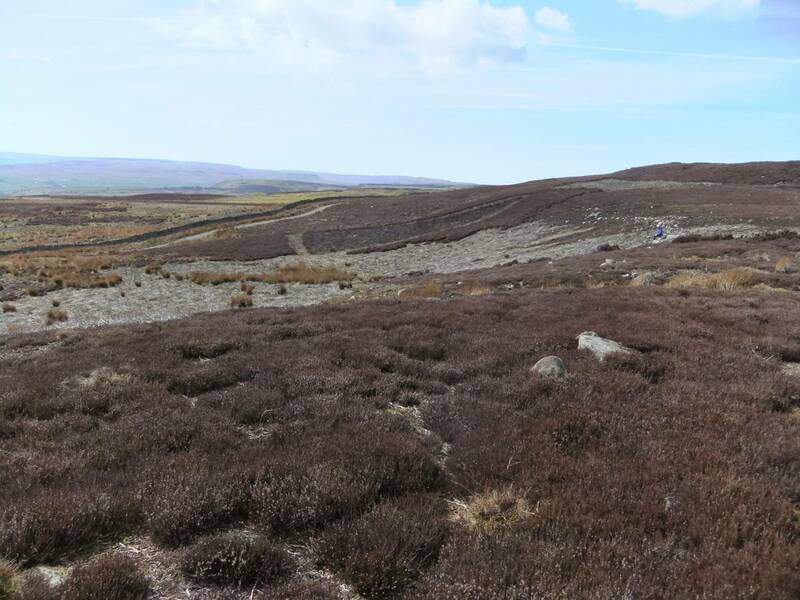 Record Description The remains of a substantial stone banked field boundary are clearly visible where heather has recently been burned, on the Moor Edge at an elevation of 450m AOD above Walker Wife Well Spring. 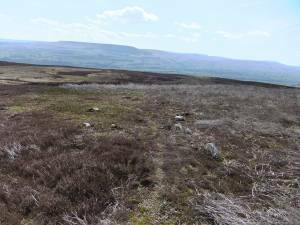 A possible round house can be detected on level moor just above this boundary. 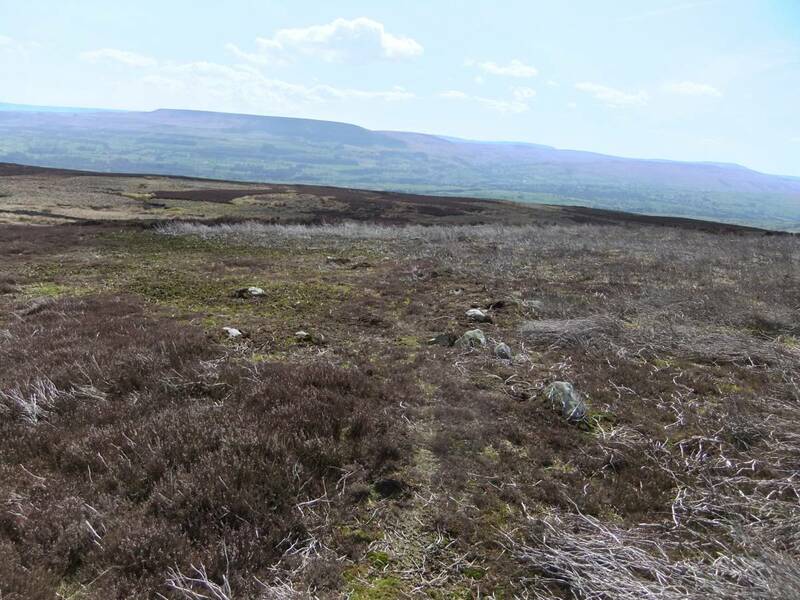 This ancient boundary is visible from the moor track traversing the southern edge of East Bolton Moor and can be traced further along the Moor Edge on the 450m contour at intervals but is obscured under the heather. This boundary appears to be the upper limit of a coaxial field system rising upslope from West Bolton Parks and may be associated with the Bronze Age cairnfield type settlement evidence in the Park, recorded separately. Additional Notes Further work is required to understand the extent and associations of this very high field boundary. 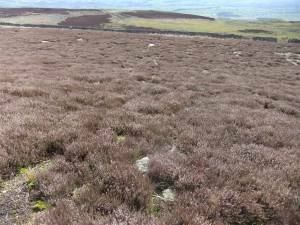 Image 1 Description Field boundary on Moor Edge is only visible where heather burn allows. Image 2 Description View of the stone field bank on the Moor Edge westward from above Walker Wife Well Spring. Image 3 Description Possible round house where a secondary field bank intersects with the main field bank on level moorland at 450m elevation and the presence of a circular structure here is indicated where the field bank shows slight curve. Image 4 Description Very slight field banks rise upslope from Bolton West Park to intersect with the upper boundary.